Writing is creative, but freelance writing is a business, and succeeding as a freelancer requires some business and financial savvy. 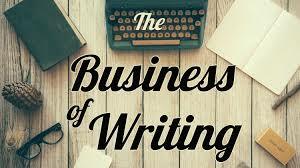 Here are five tips that can help you build and protect your business as a writer. Promote yourself. Having your own writing business means that you are your own product, so you must sell yourself when there is an opportunity. Take pride in what you do and talk about it. Build a website. Have samples of your work ready to present to potential clients. Sell yourself. Even in informal settings, someone asking how you make your living might yield some business opportunities. Saying something like “I’m a freelance business writer and I help clients with their annual reports, newsletters, PR releases, and other business materials” can generate valuable business contacts. Value your time and work. You need to work and you need to have clients. To achieve this, you might be tempted to set your prices too low, but this is not a good strategy, especially if you have already produced some solid work. Clients worth working for know the value of any creative work, the effort that goes into it, and the time that it takes to produce it. Do not short-change yourself. Learn about taxes. Taxes are a certainty, but need not be too daunting. Find out how much service tax you need to charge (if it applies to your country), how much of your expenses are tax-deductible, and how much tax you will owe the government. If you are earning above a certain tax threshold and liable to pay a large amount of tax at the end of the financial year, consider paying quarterly or even monthly so that your year-end cash flow is not compromised. Build a nest. A freelancer, while free from the restrictions of permanent employment with an organisation, does not get employee benefits such as retirement, sick leave, annual leave, and withheld personal income tax. You need to therefore put aside some money for when you are unwell and cannot work, for your personal income tax at the end of the year, and for when you are older. In short, save some of what you earn. Build bridges. Clients will come and some will inevitably go. When this happens, shake hands and move on, but do not burn bridges. Freelancing can be a feast-and-famine cycle. Building bridges and contacts as you go along can be a good security for the future, because people leave jobs and move on themselves. Today’s ex-client could be tomorrow’s big pitch.